Description: horn section, Name: Payoñ. Section of carabao horn. Has been dressed down and a rattan handle attached. Used as a basi cup at weddings, funerals, etc. Description: spirit box, Name: Kalañ. Horned spirit box. 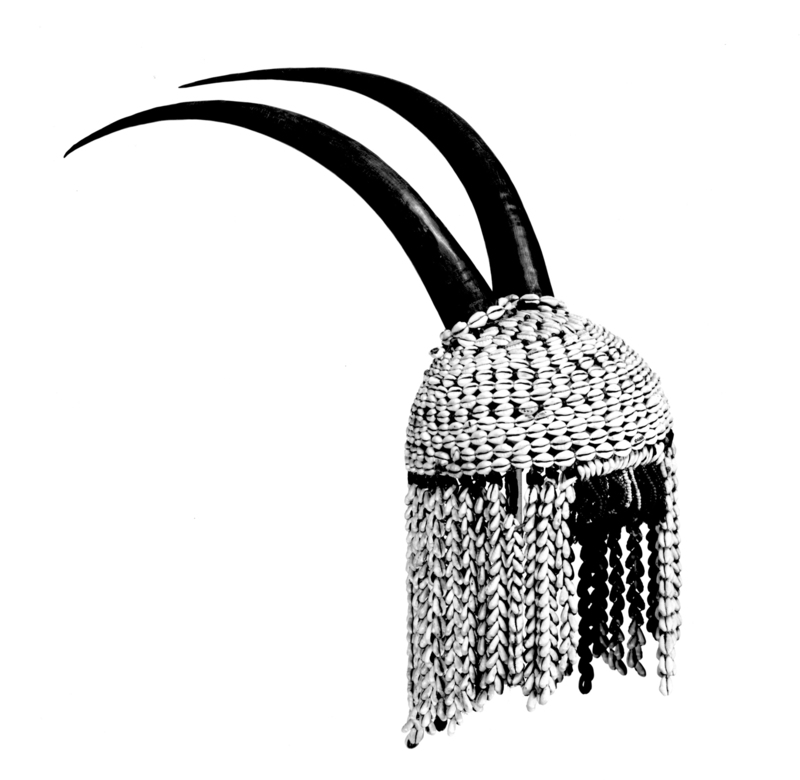 Same as 109090 except that it is larger and the heads and horns of the carabao are plainer. 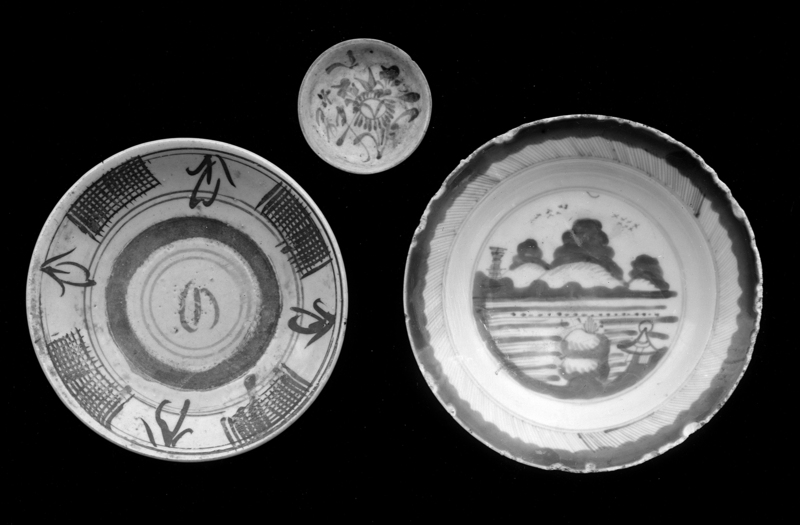 Chinese dish inside. The horns are to represent those of the carabao. Spirits are fed in these boxes which are fastened to the inner side of the roof, or in the balua. | Notes: Taken from a balau destroyed during a typhoon. Description: death emblem, Name: Death emblem (pi-na-la). Flat, thin piece of wood, ends terminating [like] carabao horns. Animal skull attached, also bunch of grass. | Notes: During caños. 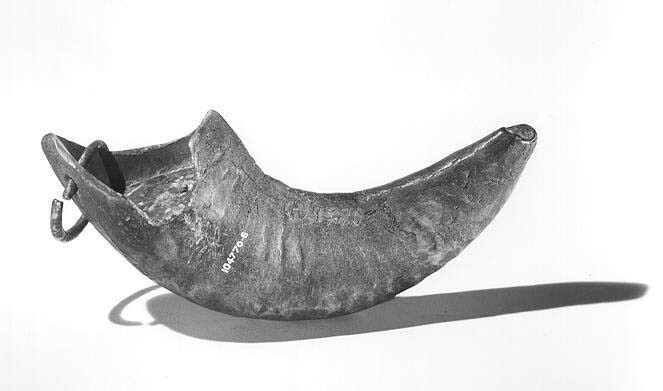 Description: portion of carabao horn, Name: Portion of carabao horn.